The City Law School's Dr John Stanton comments on a landmark constitutional law case. On 3rd November, the High Court of England and Wales passed judgment on one of the most important constitutional cases in recent times: R (Miller and Dos Santos) v Secretary of State for Exiting the European Union  EWHC 2768 (Admin). In this case, the High Court was seeking to determine the appropriate legal manner in which Article 50 TEU should and could be invoked. In other words, how Brexit should happen. To this end, and keeping in mind the wording of Article 50, which states that ‘Member State[s] may decide to withdraw from the Union in accordance with [their] own constitutional requirements’, the court was asked to consider whether the government – using the royal prerogative power – could invoke Article 50 on its own, or whether Parliament should have an input in that process. Government acting alone representing a reversal of that process. That Parliament should have a part to play, though, has strong legal support. At the very heart of our constitution is an acceptance of the fact that Parliament is sovereign. To quote orthodox theory, it can make and unmake any law whatsoever. This is recognised through the agreement reached at the Glorious Revolution and set out in the Bill of Rights 1688. That this sovereign Parliament should have a part to play in realising Brexit, then, is premised on the accepted view that membership of the EU has, over the years, necessitated the passing of a great many laws which would cease to apply once Brexit has been completed. It is a constitutional tenet, supported by Section 1 of the 1688 Bill of Rights and the seminal judgment in the Case of Proclamations 1610 that the government alone cannot suspend or abolish laws. Parliament alone has that power. It is unsurprising, therefore, that the High Court found favour with the latter argument, holding that Parliament must have a part to play in invoking Article 50 and that Theresa May’s government cannot pursue the course of departure from the EU without their input. Our democratically elected Parliament is sovereign. The judgment, though in the process of being appealed to the Supreme Court, has inspired a great deal of discussion and debate. It has also generated, from certain corners of the national press, some frankly disgusting headlines. Some argue – MPs included – that the judgment delays or blocks Brexit and that the judges were seeking undemocratically to frustrate the popular will of the people, realised through the referendum result. Such views, though, are unfounded and mistaken. 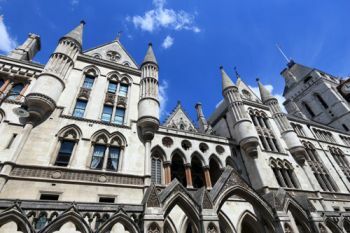 The High Court, in reaching its decision in Miller, was considering a purely legal – not political – question, assessing the appropriate extent of executive power. That they acknowledged the sovereignty of Parliament and held that it must have a part to play in the process draws from a wealth of established legal authority and settled constitutional doctrine. The decision simply represents application of the law. Widespread criticism of the judgment, however, combined with the continued support that Brexit inspires, is arguably indicative of a much more fundamental movement. It was a movement evident as dawn broke on 24th June 2016 and it is evident – perhaps to a more extreme extent – across America in the vision of those supporting Donald Trump’s presidential campaign. Some call it populism and whether we associate that with ‘Taking back control’, ‘beating the establishment’, or ‘taking control of America’, it is ultimately a rejection of the status quo and a movement in support of values perceived to have been previously compromised. Nominally, populism is an expression of democracy; of the will of some of the people seeking to make a difference, standing up for their beliefs and values. Crucially, though, whilst an expression of democracy, those supporting and drawn into populist movements must always acknowledge and appreciate the prevalence of constitutional values, the security ensured by constitutional legal frameworks and – ultimately – the rule of law. One thing at the heart of any democratic system true to the rule of law is the need to ensure the independence of the judiciary and, furthermore, the loyalty of that judiciary to the constitution and the prevailing sovereign authority – in our case, Parliament. This means that judges must decide cases free from political influence or personal concern and that their judgments in upholding the law must be honoured and respected. That so many MPs were openly criticising the Miller judgment and that the press were so publicly rebuking the judges who had handed down the decision is an affront to the independence of the judiciary and, therefore, the rule of law. 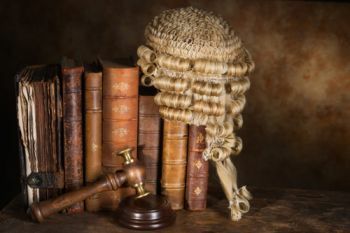 Even the Secretary of State Justice – Liz Truss – was tardy and half-hearted in her defence of judicial independence, despite her statutory duty to uphold the value. Even in America, Donald Trump earlier this year was typically vociferous in criticising Judge Gonzalo Curiel who had decided a case against Trump University, thus displaying a concerning lack of respect for judicial independence. More broadly, the rule of law is also associated with respect for the prevailing law. Whilst concern that application of the law in Miller has already been discussed, it is also notable in this regard that Trump has suggested he might not respect the US Election result if he loses, something that would fly in the face of the US Constitution and its clear provision in the 12th Amendment that the winner of a majority of votes will be President. Democracy is an absolute value, lying at the very heart of governmental and constitutional systems across the globe. But regardless of the ideas and ideologies that democracy throws up and presents, whatever one’s views and beliefs, it is of even greater importance that we appreciate and acknowledge legal constitutional frameworks and, crucially, respect and uphold the rule of law. A group in a society exercising power and influence over matters of policy, opinion, or taste, and seen as resisting change.